Babies have a knack for going from zero to 60 when they’re hungry. And frantically preparing a bottle to the soundtrack of crying doesn’t make for a fun feeding session. 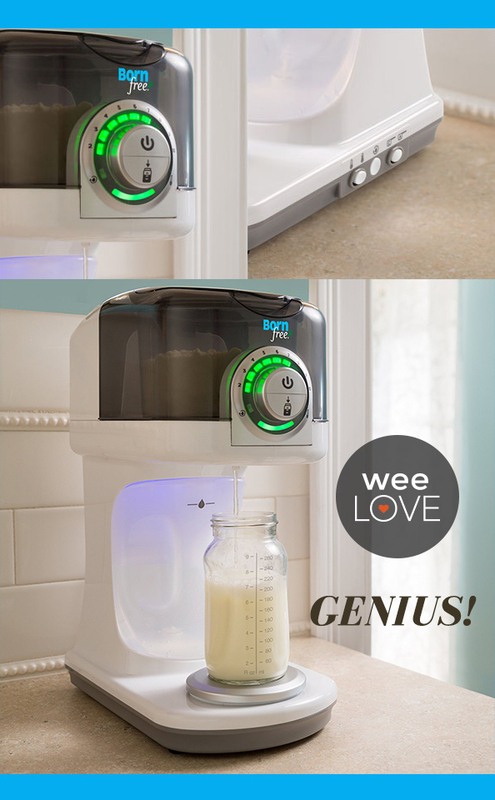 The Born Free Bottle Genius is exactly what it sounds like… a genius gadget that saves you lots of precious time and hopefully some tears. 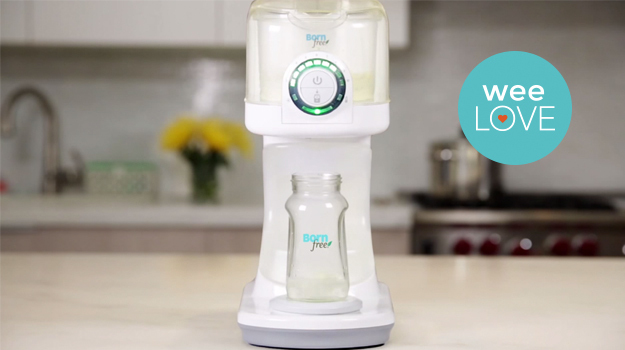 This one-stop formula bottle making station accurately portions formula and water for a ready-to-guzzle bottle. Less bottle prep = more time for the other stuff on your to-do list, and maybe even a little sleep. Think of it like a Keurig for formula: it holds water and a can of powdered formula, and at the push of a button, you can get a bottle (either warm or at room temperature) any size from two to 10 ounces. It works with all major bottle and formula brands, and the dial has a gentle glow for night-time use… so you can totally handle stumbling into the kitchen at 3am for a feeding. When it comes to cleaning, use the built-in cleaning cycle to sanitize the entire system. Just turn the dial, press a button, and pat yourself on the back for being the genius who bought this. Want to see it in action? Check out our video. This weeLove was sponsored by Summer Infant. Want to get weeLove in your inbox? Sign up here!